We're talking the real deal cheese, made from quality sources, even raw. 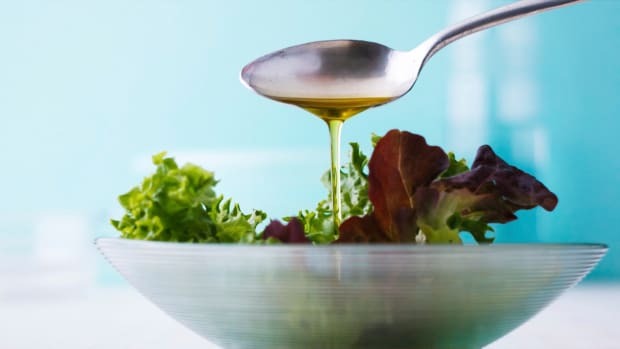 Whether it’s melted between two slices of bread, gooey and soft on a hot piece of pizza, sprinkled over a crisp salad, or the perfect nibble to pair with wine, cheese is hard to beat. But what’s the healthiest cheese out there? A serving of cheese is considered to be one ounce, or about the size of three standard dice. Within this serving (or, ahem, two), you’ll reap important nutrients including vitamins D and A along with certain B vitamins, calcium, phosphorus, zinc, potassium, and protein. Its fermented qualities ensure that cheese supports gut health while boosting the immune system too. In moderation, cheese is a perfectly acceptable food to enjoy with your favorite meals. Note; we’re talking cheese here. Real deal, authentic quality cheese made from quality sources of cow, goat, and sheep milk. Processed cheeses contain emulsifiers, extenders, weird ingredients, phosphates, and hydrogenated oils and should be avoided at all costs. Those cans of cheese-like products – no, just no. 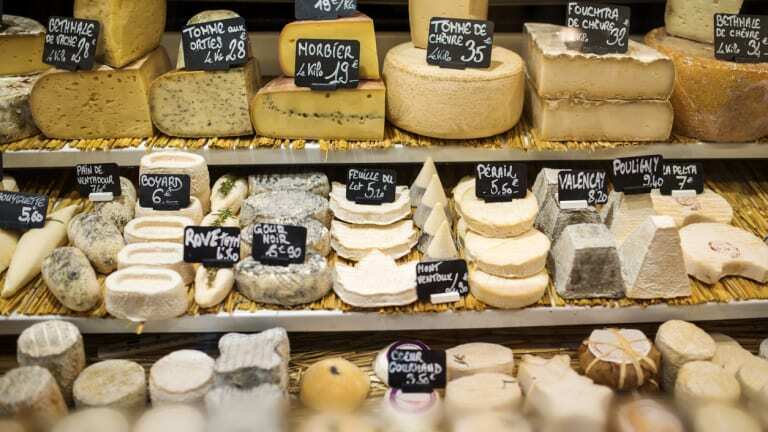 Cheese has some serious history and is found as a staple in cultures all over the world. Before modern industrialization, fermented dairy products (cheese, kefir, yogurt) were commonly consumed. Without pasteurization and refrigeration, milk quickly sours and separates. This is due to lacto-fermentation, where lactic-acid producing bacteria begin digesting both milk sugar (lactose) and milk protein (casein). After this occurs, milk is preserved from spoiling for several days or weeks. As cheese undergoes future fermentation, it can last for several months or years. The fermentation of dairy results in numerous beneficial changes, including an increase in vitamins B and C. The process of fermenting dairy helps to break down casein, a milk protein that many people cannot digest. 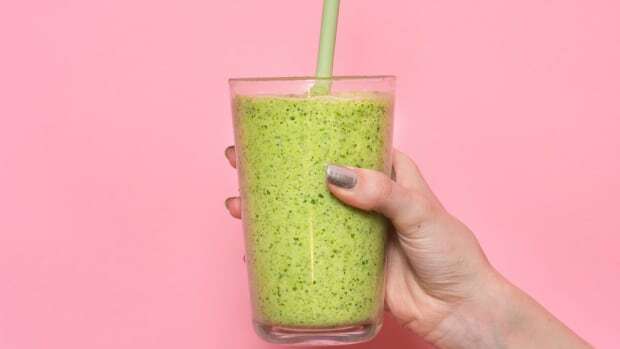 According to Sally Fallon, author of "Nourishing Traditions," culturing the dairy product restores many of the enzymes destroyed during pasteurization including lactase, which helps digest lactose or milk sugar, and numerous enzymes, which help the body to absorb calcium and other minerals. Lactase produced during the culturing process allows many people who are sensitive to fresh milk to tolerate fermented milk products, such as cream cheese, yogurt, kefir, whey, and cultured milk, cream, and cheese. Some of the healthiest cheese you can find is raw. These cheeses are made from raw milk that has not been pasteurized. Raw cheese contains an array of beneficial enzymes and nutrients and are therefore more easily digested than cheeses made from pasteurized milk. 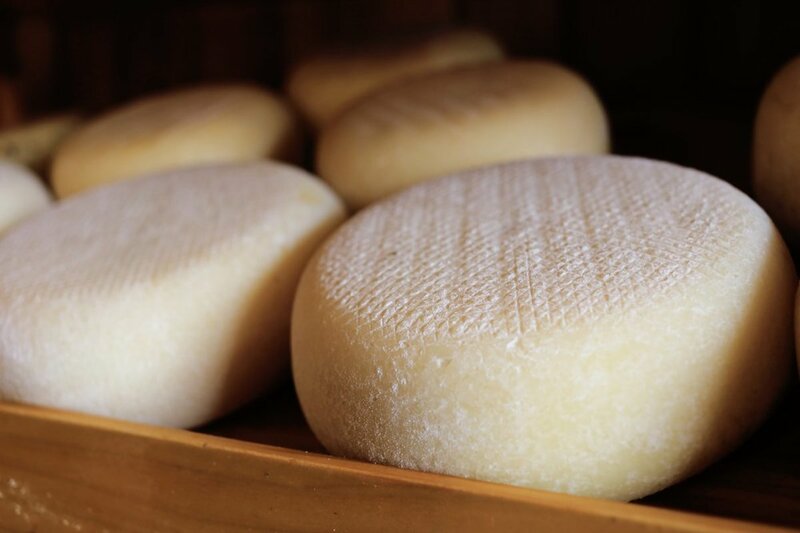 According to Cathy Strange, the global cheese and specialty buyer for Whole Foods Market, raw milk has been "the go-to ingredient for cheeses for over a thousand years and right up to today and for good reason – flavor." When milk is cooked, or pasteurized, many naturally occurring flavor-rich and gut-friendly enzymes are destroyed or denatured by the heat and the cheese loses its delectable flavor. Raw cheese isn’t that scary or hard to find, either. Strange notes that you’ve probably nibbled on some raw varieties and haven’t even realized it. For example, Parmigiano Reggiano can’t be called Parmigiano Reggiano unless it’s made from raw milk – according to the law! You can purchase raw milk cheese from an organic source at your farmers market or at health food stores, like Whole Foods or Sprouts. Full Fat or Low Fat Cheese? When it comes to choosing between low-fat and full-fat anything, always go full fat. Low-fat baked goods, dairy products, butters, nut butter, etc. 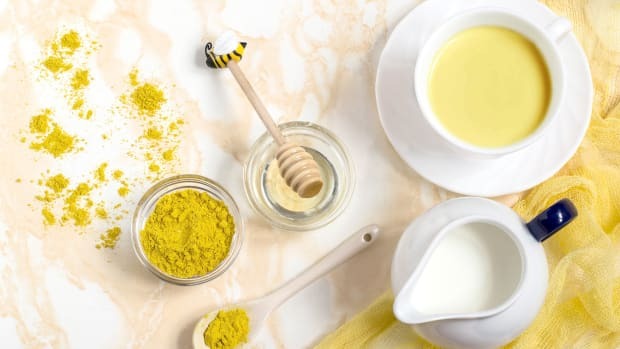 have been stripped of their beneficial fats and are often pumped up with a host of strange ingredients instead including chemicals and artificial sugars to mimic the texture of the full-fat variety. Look at full-fat foods as a special treat, and go all in. Besides, the saturated fat found in cheeses isn’t so bad after all. A 2015 study found that people who eat at least eight servings full-fat dairy per day have a 23 percent lower risk of developing type 2 diabetes compared to people who eat one or fewer servings per day. Full fat cheeses also contain a type of fatty acid known as conjugated linoleic acid (CLA). CLA has been shown to have numerous health benefits including anti-cancer, anti-diabetic, and anti-hypertensive. Always go organic when making the decision to purchase conventional or organic dairy products. Fat carries the largest doses of the hormones and antibiotics used in non-organic livestock. 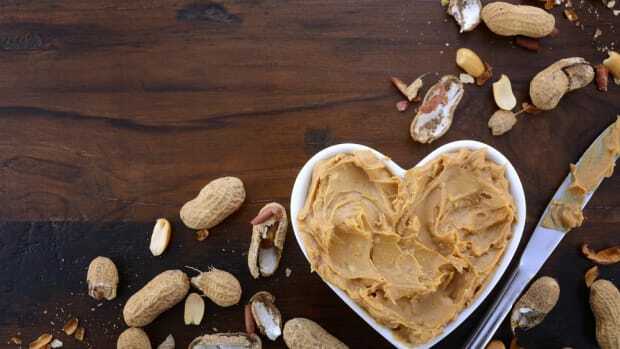 A 2013 study published in PLOS ONE also found that organic dairy products contain 62 percent more heart-healthy omega-3 fatty acids than conventional milk. So the healthiest cheese out there? A cheese that is organic, raw, and easy digested by your digestive system. Here are a few of our cheesy favorites that boast some serious nutritious powers. Source of iron, phosphorus, potassium, vitamin B12 and D.
For those who cannot tolerate cow’s milk cheese products, goat’s milk cheese may be a suitable swap. The protein structure found within goat cheese is different from other animal’s milk, as the fat globules are smaller and easier to digest. This milk protein (casein) is called A2 casein and does not demonstrate the inflammatory effects associated with dairy. In fact, this casein is the most similar protein structure to human breast milk. A particular study suggests that goat milk, when used as the first kind of protein introduced after breastfeeding, is less allergenic for babies than traditional cow’s milk. Other research has also shown that in comparison to cow’s milk, goat milk increases absorption of iron and improves bone formation and the bioavailability of certain minerals such as magnesium. 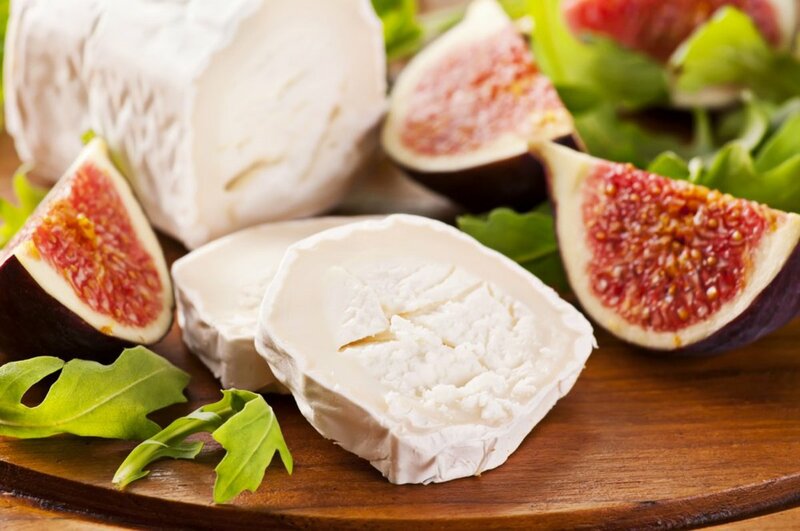 Goat cheese can be used like cream cheese to spread on toast and bagels, stuffed into olives and peppers, added into sauces and creamy soups, added to salads, sandwiches, grain dishes, in frittatas, and made into sweet treats. Also contains vitamins B2, niacin, B12, D, zinc, and phosphorus. Pecorino Romano is a hard, sharp, salty Italian cheese (considered one of the oldest Italian cheeses) made from sheep’s milk that is both delicious and nutritious, in moderation. This cheese, especially when from a grass-fed source, is rich in CLA (conjugated linoleic acid), a type of Omega-6 fatty acid. Consumption of CLAs within Pecorino Romano may be linked to lower BMIs and risks of diabetes, obesity, cancer, and inflammation, according to a a five-year study. When purchasing this cheese, always go with quality over quantity. The label should read “Pecorino Romano,” which means the cheese has been strictly regulated and produced on Italy’s islands of Sardinia, Lazio, and in the Tuscan Province of Grosseto. Pecorino Romano is delicious grated onto pasta dishes, simple green salads, vegetable dishes, shaved into grain salads, in frittatas and other egg dishes, and grated over pizza. 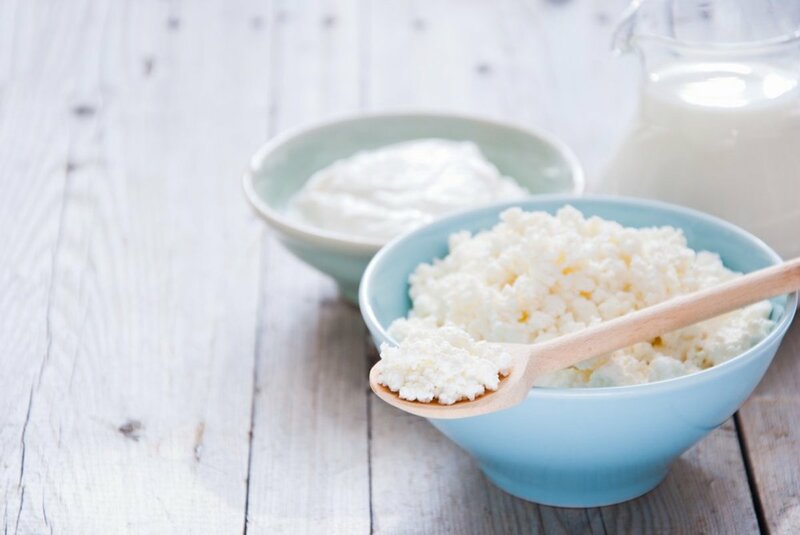 Cottage cheese has long been considered a healthy whole food, with good reason. This cheese is thought to aid in weight loss and promote bone health, while boosting calcium, protein, and nutrient intake. Cottage cheese is made by boiling and curdling milk with the help of an acidic medium, such as vinegar, lime juice, or lemon juice. As the milk boils it begins to curdle and form lumps of milk curds. These curds are then pressed and formed into large a big lump of cottage cheese. In fact, this process is so simple that you can even DIY your own cottage cheese at home. Those watching their sodium levels may benefit from making cottage cheese their cheese variety of choice. 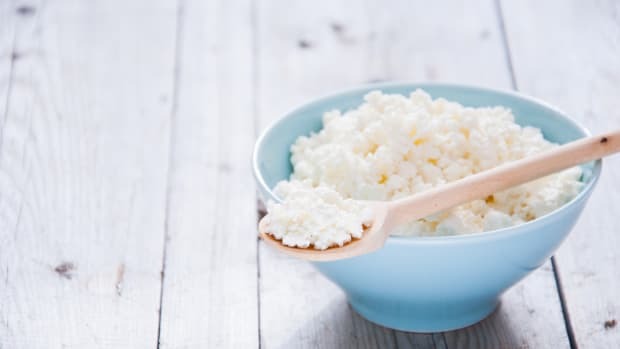 A 2014 BJM Open study of 612 cheeses found that cottage cheese contained the least amount of sodium. Typically, cheeses that are soft and less aged tend to contain less sodium. 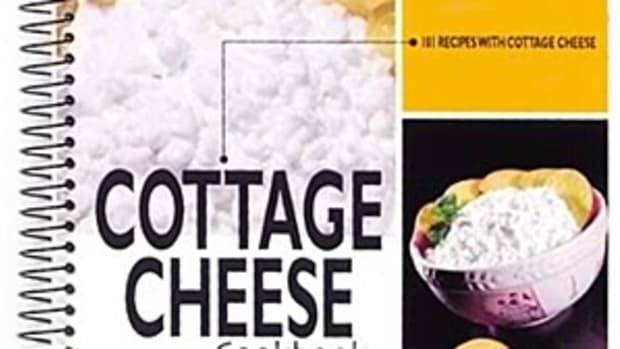 Cottage cheese is quite versatile in your kitchen. 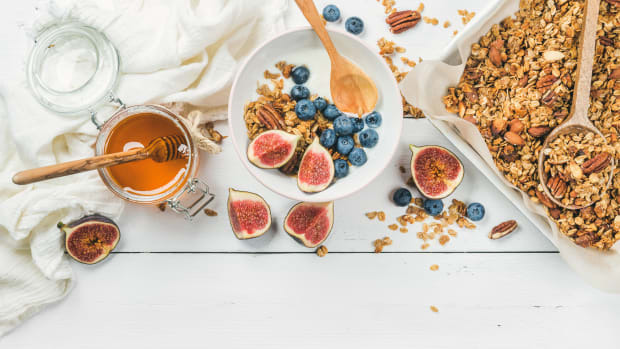 You can enjoy a cup of it as the basis for a meal alongside of granola, raisins, fresh fruit, nuts, and seeds. It can also be used for pasta sauces, in baked dishes, on pancakes and waffles, and more. Also contains vitamin B2 and B3, folate, sodium, and zinc. 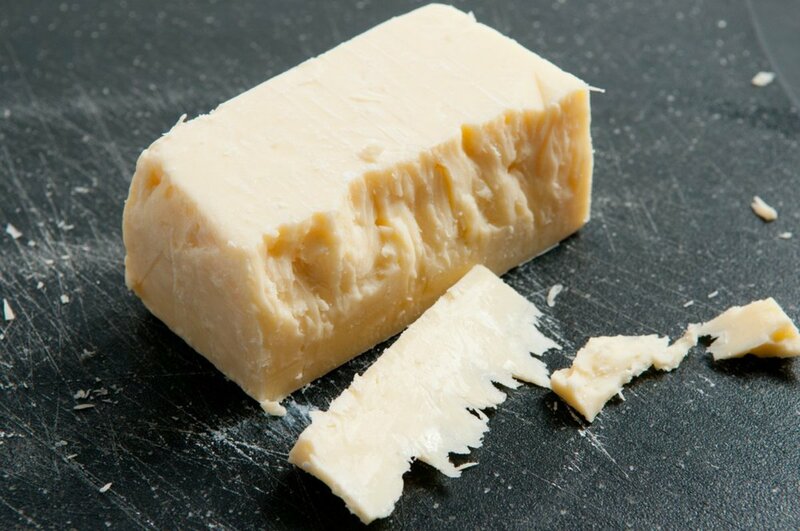 This sharp (or extra-sharp) cheese originated in Great Britain in a village of the same name. Now, it’s the most popular cheese in the UK and the second most popular cheese in the states, behind mozzarella. This cheese can be a healthy choice. Avoid (at all costs) processed cheddar cheese products made with artificial preservatives and funky yellow coloring, which is certainly not real cheese. Real cheddar cheese is off-white, or a mild orange if spices are added, and aged for three to 18 months, depending on the variety. Like other cheeses, cheddar boasts protein, vitamin A, a host of B vitamins, along with calcium for proper muscle and nerve function. Cheddar cheese can be used in a variety of recipes. It works well in quiches, risotto, baked breads, on sandwiches, and more. Feta cheese is a tangy delight made from sheep or goat’s milk (or often a combination of the two) and is synonymous with Mediterranean flavors. Along with being versatile in the kitchen, this cheese boats body-loving benefits as well. Nutritionally, feta cheese may promote cancer protective properties thanks to its levels of calcium and vitamin D. These two nutrients in combination help to protect the body against certain types of cancer. 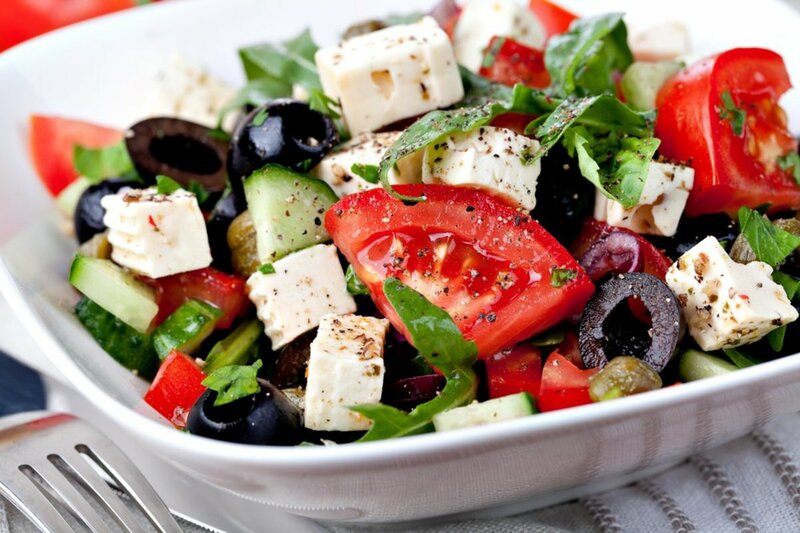 Feta cheese also boats friendly bacteria probiotics to keep the gut healthy and ample amounts of calcium for bone health. Salty and creamy feta cheese is delicious stuffed in olives and spicy peppers, in grain and salad dishes, on pizza, in pasta, and paired with sweet elements like watermelon in this salad. Mozzarella is a creamy cheese that originated from Southern Italy. In Italy, this cheese is typically made with water buffalo milk, and given the name mozzarella di bufala. Although rare to find in the states, buffalo mozzarella is a treat that should be enjoyed in your next Italian meal. 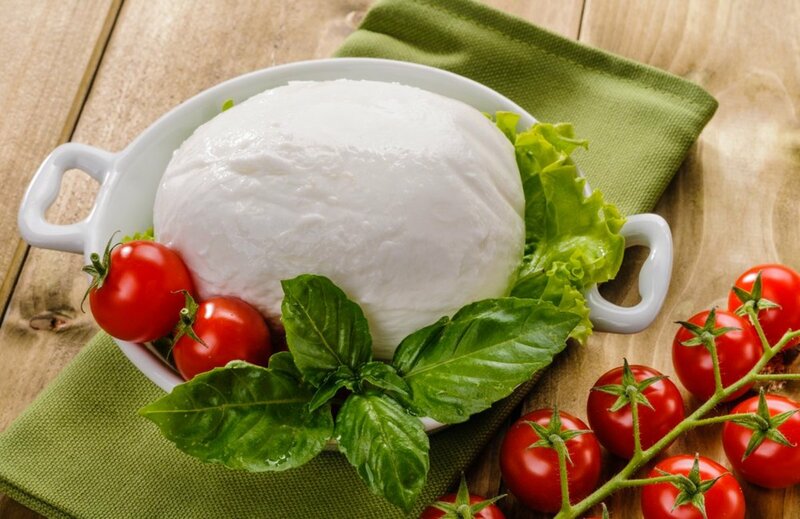 Along with buffalo milk, mozzarella cheese is commonly made from cow’s milk. Like other cheeses, mozzarella boats gut-healthy probiotics, protein, fat, and nutrients to support whole body health, in moderation. Specifically, mozzarella is filled with energy producing B vitamins, including vitamin B12, which is supportive for red blood cell health. Mozzarella cheese is an Italian no-brainer and can (and should) be added to pasta, pizza, salads, grain dishes, baked dishes, and stuffed in hearty squashes for a filling vegetarian meal. Also contains selenium, zinc, folate, and vitamin B6. Sharp and salty blue cheese is actually an umbrella classification to describe a host of different types of cheeses including Roquefort, Danablu, Cabrales, Gorgonzola, and Blue Stilton. These cheeses gets their name, and vibrant coloring thanks to the addition of cultures of the mold, penicillium, which is added during the cheese making process. Blue cheese is filled with gut-friendly beneficial bacteria, satiating protein, and essentials minerals and vitamins. 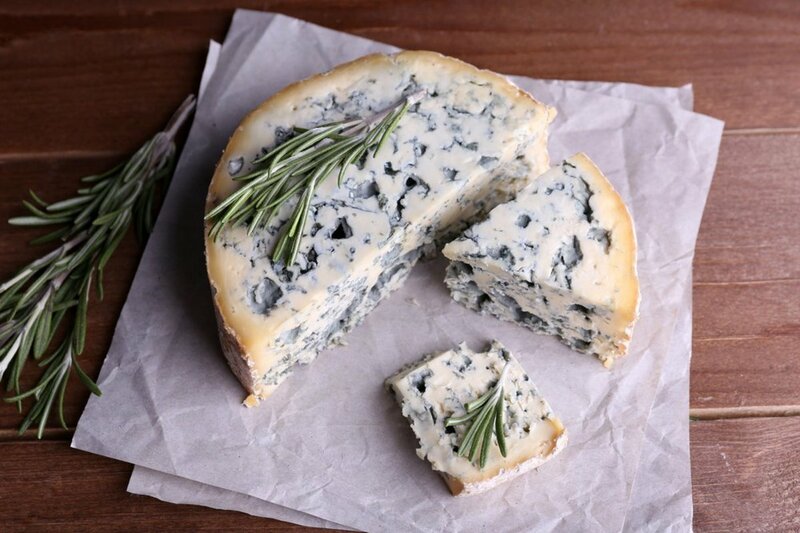 Particularly Roquefort cheese, a type of blue cheese from France aged in caves (yes, caves), may also promote anti-inflammatory properties as well. The anti-inflammatory compounds in this tangy blue cheese variant were found to work best in acidic environments, such as the gut. Blue cheese is delicious sprinkled over salads, pasta, in a tangy grilled cheese, and more. 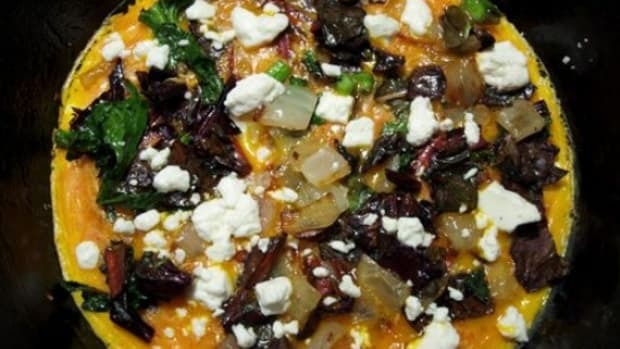 What In The World Is Vegan Cheese Anyway? Can It Actually Replace ‘Real’ Cheese? A Simple Guide to Making Cheese: You Can Do It! This article was first published October 4, 2016 and republished February 25, 2019.